Most allergic reactions are relatively mild and non-life-threatening, however some are acutely life-threatening – anaphylaxis. This program reviews the prevention, recognition and management of allergic reactions in the dental office environment. Allergy, overdose and idiosyncrasy are the three systemic adverse drug reactions. They are defined and contrasted, followed by an in-depth discussion of allergy. 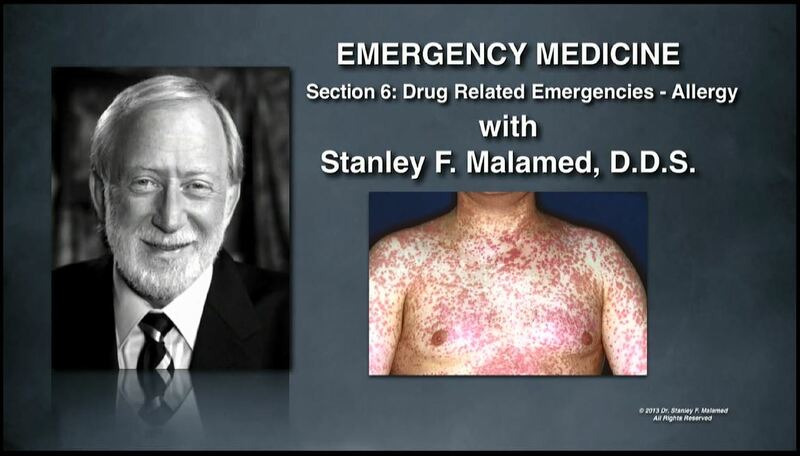 The mechanism behind the allergic reaction is reviewed followed by a review of the more commonly observed non-life threatening allergic reaction as well as the life-threatening allergy – anaphylaxis.